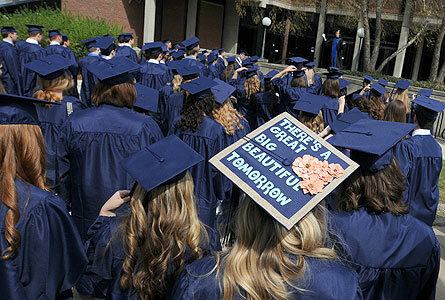 When graduation comes around, the big question facing students, faculty advisors, and parents is: what’s next? After pursuing immersive and engaged experiences in academic settings, these passionate, hardworking students are not as excited about taking up well-paying but arguably monotonous jobs in large organizations. They want to directly see the impact of their work rather than designing a widget in a cubicle and becoming another cog in the corporate wheel. This quotation, from a forthcoming book (of which more below), describes a concern that a great many college faculty and staff have seen re-enacted every year at graduation time. The students have been formed by their liberal-arts-based environment, and they are ready to go out and “make a difference in the world,” but they really aren’t given that option. smorgasbord of career pathways that prioritize social impact. It educates readers about the ins and outs of the various organizations participating in the broader social innovation ecosystem, and the academic, cocurricular, and professional competencies that help prepare individuals for impact-focused careers. Finally, it encourages readers to think through compensation, career advancement, and the personal implications of career choices. This book would have been helpful, both for me and my students, when I first started teaching engineering at a small liberal arts college in the Midwest ten years ago. 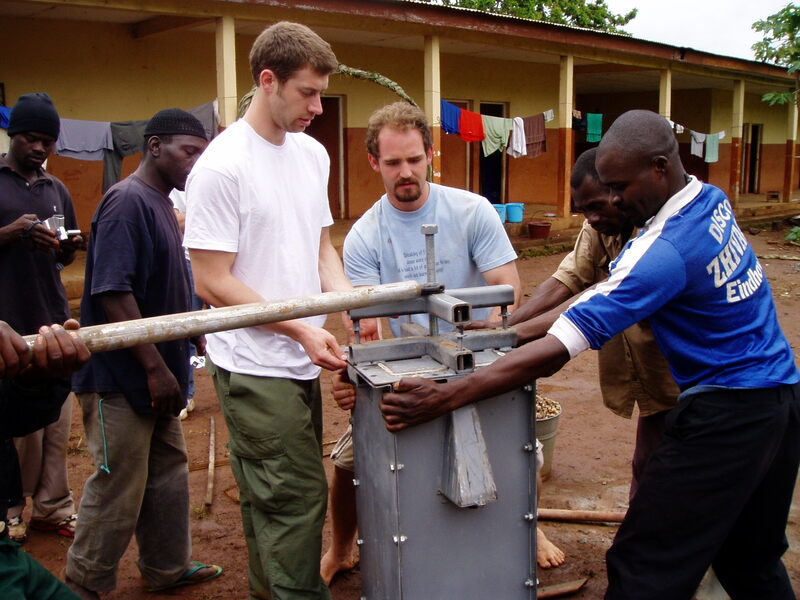 That post gave me the opportunity to work extensively with students in an international development context through a student chapter of Engineers Without Borders. I had also spent two years in the Peace Corps teaching math and science in Tanzania, so one might think I had at least some insight into the professional world of international development. And I am happy to say that several of my students did go on to find impactful (and paid) employment in international development after they graduated. One of them, Timothy Carter, is a contributor to Mehta’s collection. Another student actually got a PhD in engineering, found a job at a small liberal arts college, and does international development work with students (no kidding!). But, fo r every one of those students, I could also point to two or three more who started their engineering studies with a passion to work in the context of global service, or in some type of international development, but found themselves heading in a very different direction upon graduation. It would be silly to suggest that students who make a direct transition from college to “impactful” and paid employment count as vocational success stories while those who don’t are, well . . . the rest of us? My sense is that this book may provide students and faculty a jumping-off point for conversation and discovery about which problems really matter in the first place. Engaging that question is not trivial. Beyond that, exploring the real opportunities that one might find or create for oneself in the social impact sector might also lead to some very interesting places. The book cited above will be released on October 2, 2015; it was edited by Khanjan Mehta, Assistant Professor of Engineering Design and Director of the Humanitarian Engineering and Social Entrepreneurship (HESE) Program at Penn State. 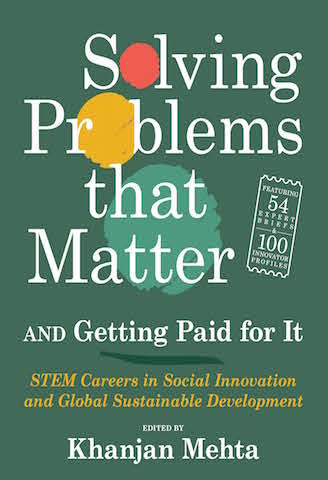 Its title is Solving Problems that Matter (and Getting Paid for it): STEM Careers in Social Innovation and Global Sustainable Development. Since the book is not yet in circulation, I have only had a chance to read the front matter and Table of Contents; what I have seen so far, however, has piqued my interest. More information on the volume can be found at http://sites.psu.edu/khanjanmehta/sptm/.